Germany and Austria really know how to extend the joys of summer well into the autumn, with festivals and sporting events. How about a destination combining a variety of outdoor adventures and vibrant culture alongside quick access to the mountains? Welcome to Innsbruck, the Capital of the Alps. Planning your first hut to hut trip. There has to be a first time for everyone. 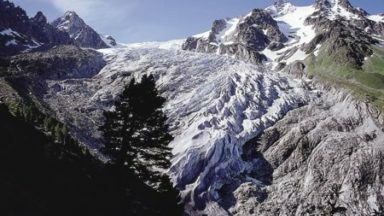 If you are 'into mountains' for walking, trekking or climbing, sooner or later the Alps will call. Where to go? Almost anywhere in the alpine chain will reward a visit. 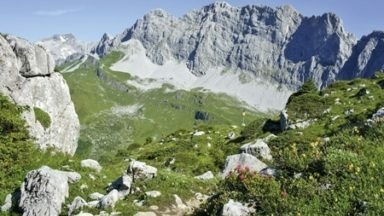 Where to go for a first Alpine trek? 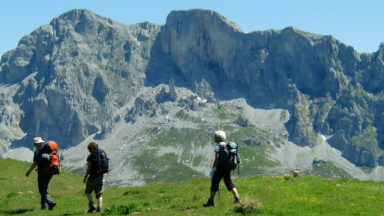 Contained within a fortnight's holiday, the Tour of the Queyras would make a splendid introduction to trekking in the Alps. The Queyras is a dramatic region of the French Alps, between the Durance Valley and the Italian border, in the shadow of Mont Viso. 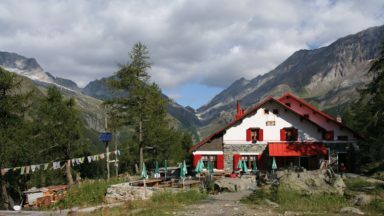 Sheltered to the west by the Ecrins, it is one of the sunniest areas of the Alps. 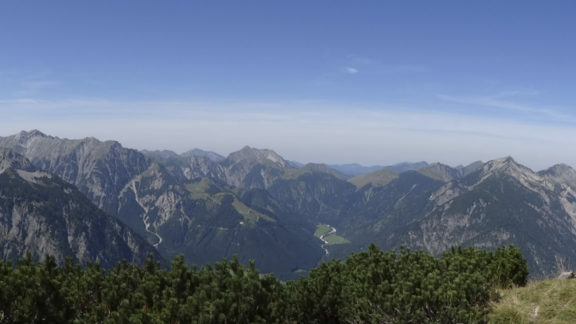 The Sound of Music and Hitler's Eagles Nest are secondary to the stunning walking and trekking in the hills of Berchtesgaden, close to Salzburg. Andy Hodges describes some walking and scrambling in this easily accessible Alpine area. 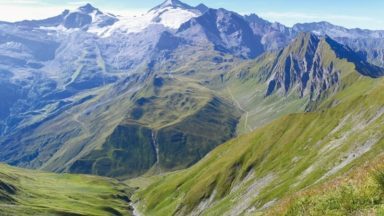 Over the past ten years, Cicerone author Kev Reynolds has spent many happy weeks trekking and exploring in the Silvretta and Ratikon Alps. Defining the borders of Switzerland, Austria and Lichtenstein south of Lake Constance, the Ratikon Alps give the appearance of an abrupt wall of limestone erupting from meadows and screes full of flowers. I'd been threatening to write a canyoning guide for a couple of years, scribbling ideas on the back of beermats and waxing lyrical to all who'd listen, before my partner finally called my bluff and packed me off abroad. It's a special sort of person who agrees to get up at 6am on holiday in order to explore some potentially small-print canyon. 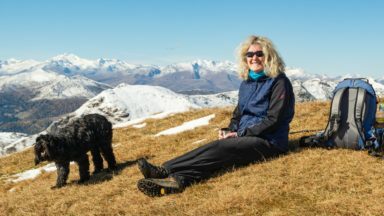 Stay safe on your Alpine walking holiday this summer. 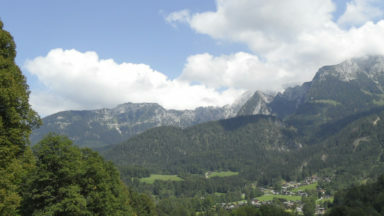 John Hayes heard about the Karnischer Höhenweg by chance when sitting out a storm in an Austrian Alpine hut with four young men from Vienna. He took their advice to trek the route and loved it so much he wrote a book about it. 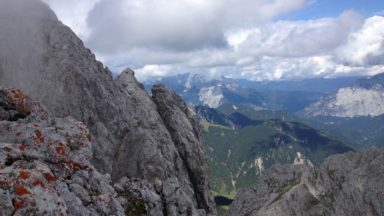 Lesley looks at the poignant Peace Trails, such as the Karnischer Höhenweg near the Dolomites and the Pot Miru in Slovenia. There are signs of war scattered around these routes but now these Peace Trails are celebrated as emblems of reconciliation. 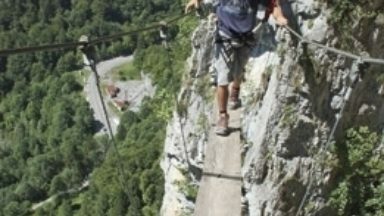 Cicerone author Richard Miller tells us about how to came to write the guidebook to Via Ferratas of the French Alps and what he loves about the area. Like so many Cicerone authors, frustrated by the lack of information available on an area, he soon found out that the only way have all the information needed to plan a trip was to write the book himself. 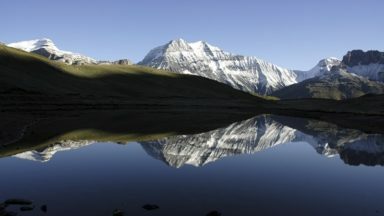 What is it like to stay in a mountain refuge? 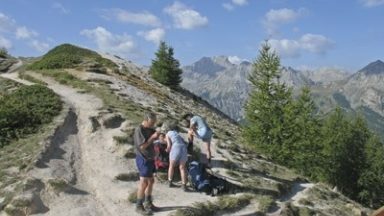 Why choose to trek the GR5 through the French Alps? A graceful ridge soars away to the south, its flanks of grass and faded alpen rose like rippled antique green velvet, enticing your eyes and quickening your heart. This was to be where the adventure would begin. Kev Reynolds knows the Alps like no one else. 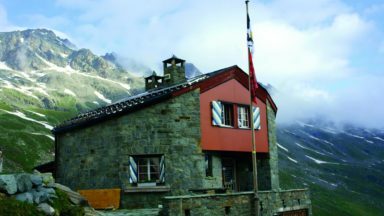 He tells us about a trek in the little-known Silvretta and Rätikon Alps, the mountain regions that straddle the Swiss-Austrian border. 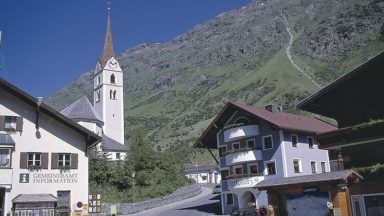 Characterful huts, sleepy alpine villages and remote and mysterious peaks and valleys make up this area. 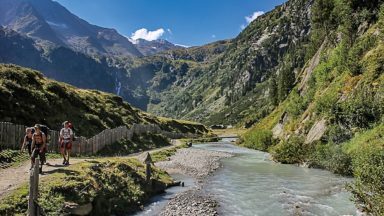 English-language guidebook to the Karnischer Höhenweg, a 170km waymarked hut-to-hut trek along the border between Italy and Austria. 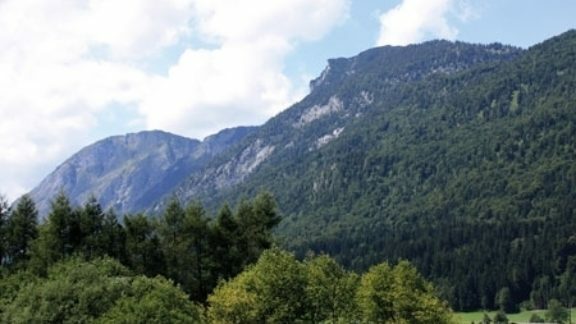 Also known as the Carnic Peace Trail, it runs west to east along the Ridge of the Carnic Alps, the site of the WW1 front line. 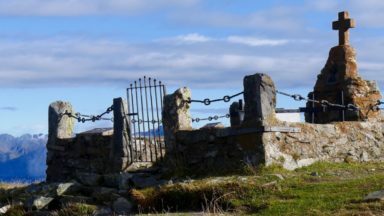 With information on planning your trip, accommodation and the history of the area. 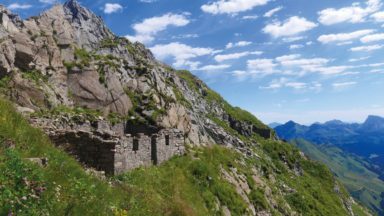 This guide describes three treks, between 5 and 8 days, in the Silvretta and Rätikon Alps starting near Klosters, and 12 half-day hut-to-hut routes. These contrasting ranges form a line on the borders of Switzerland, Austria and Liechtenstein. The Tour of the Silvretta, the Prättigauer Höhenweg and the Rätikon Höhenweg. It is important, when planning a mountain trip – especially out of season – to do your homework first. Will the huts be open and manned? Will there be room? What facilities can be expected? Are meals provided? 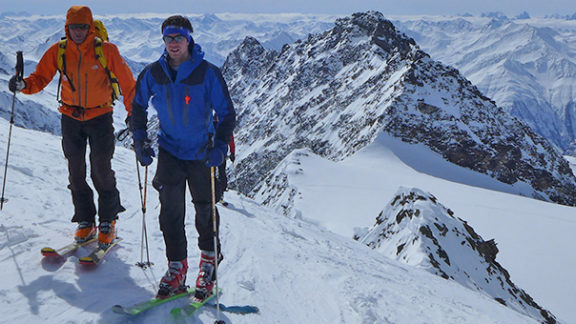 Here, Kev Reynolds, explains some of the main practicalities of staying in a mountain hut. The Munich to Venice trek, or Traumpfad, stole John Hayes' heart. Let him explain why he was so keen to write about it in a new Cicerone guidebook.